Switzerland is a country that's known for its postcard-worthy natural scenery, supreme quality of life, and unique culture that can be found everywhere, from the capital city of Zurich to the most minute villages and towns. Aerial view of ZÃ¼rich city center with famous FraumÃ¼nster Church and river Limmat at Lake Zurich from GrossmÃ¼nster Church, Canton of ZÃ¼rich, Switzerland. Europe isn't just a destination for summer travelers. In fact, many European towns and cities thrive in all seasons, offering as much winter adventure as summer sightseeing. Switzerland is a country that's known for its postcard-worthy natural scenery, supreme quality of life, and unique culture that can be found everywhere, from the capital city of Zurich to the most minute villages and towns. These Swiss destinations are ones that every traveler should visit, whether it's for winter sports excitement or hiking the wildflower-dotted trails on a warm summer day. Bern is one of those fairytale towns that looks like it would fit better in a children's book than real life. However, despite its small-town feel, Bern isn't that small at all. Home to roughly 141,000 people, Bern is an ideal travel destination, loaded with 12th-century architecture, sheltered shopping markets and a more laid-back atmosphere that most European cities. Visit in the winter months, and you can root on the local SC Bern hockey team. The National League A champions have been around since the 1930s and catching a game in the 17,000-seat PostFinance Arena is a must, whether you're a hockey fan or just a traveler searching for a true taste of local culture. 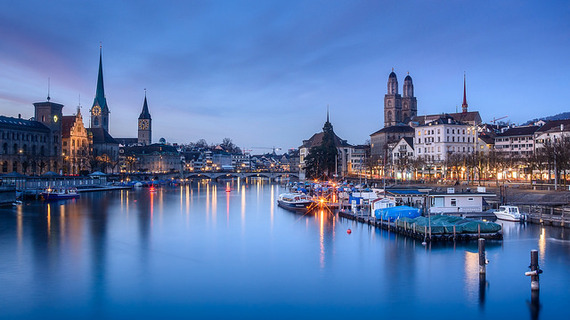 Zurich, Switzerland, isn't a stranger to bucket lists. As Switzerland's largest city, it encompasses all things that are so inviting about one of the most scenic countries in the world. The city is known for offering a quality of life that is superior to most other metropolises around the globe, and you can feel the happiness of its people when dining in the world-famous restaurants, traveling through time at the Swiss National Museum, gawking at the winding lanes of Altstadt (Old Town) or catching a Lions hockey game at Hallenstadion. 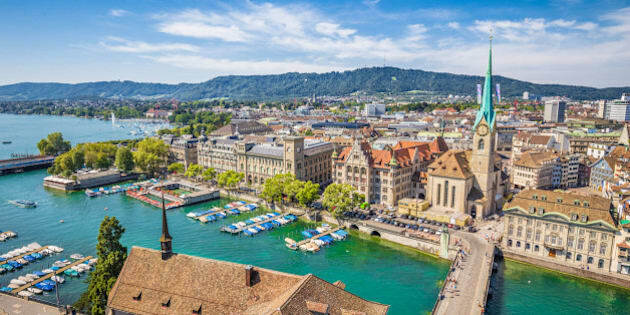 Whether the streets are snow-dusted or the surrounding hills are the year's most vibrant shades of green, you'll never find a shortage of things to do in the most famous Swiss city. Most of those who have already checked Zurich off their bucket lists probably haven't been to Langnau Im Emmental. Known for being the sunniest place in the country, this microscopic town of 8,500 is known for its slow, rolling hills, abundant forests, and its hockey team. The SLC Tigers have been one of the town's claims to fame since 1946, and you shouldn't be surprised if you see more than two-thirds of the town's population at a game. Known more as a scenic summer destination, this town is truly an unforgettable sight when the hockey season is on. 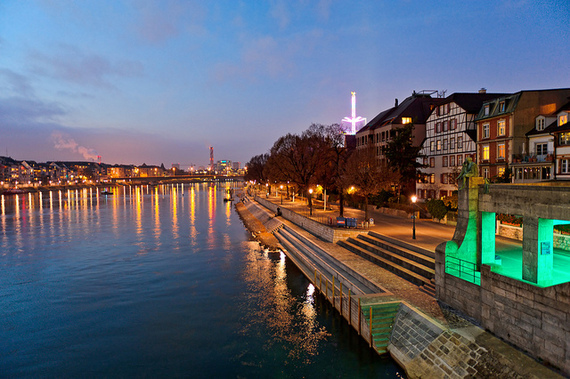 Dissected by the River Rhine, Basel is characterized red rooftops, historic bridges and cultural diversity due to nearby borders with France and Germany. The city's eclectic attitude has led to a rich art and culture scene that doesn't waiver in spring, summer, winter or fall. Nearly 40 museums, including the Basel Art Museum and the famed Museum of Cultures, make this the most museum-heavy city in all of Switzerland. In addition to the city's famed playhouses, galleries, museums and sports teams (EHC Basel hockey is here), visitors can venture outside in all seasons to several parks along the banks of the Rhine, the Botanical Garden and the nearby Augusta Raurica ruins. It may be time to forego your usual winter escape to the Bahamas or Cabo San Lucas and choose the picture-perfect and culture-filled country of Switzerland instead.